Posted On June 02, 2016 by Team iCynosure. This June get ready for the launch of a car that is as easy to drive as a hatchback, yet as sturdy as a sports utility vehicle. With a promise like that, the Japanese automaker Nissan is bringing its newest offering the Datsun redi-Go, the ultimate Urban Cross to the Indian shoreS. Taking a leaf out of PM Narendra Modi’s ‘Made In India’ concept, the car is fully designed and developed in the country, perfectly catering to the Indian urban population. The highlight of the vehicle is that it is a crossover coupled with a hatchback to give riders a dream machine to zip around. Living in a city that never sleeps, a city that is practically zipping around day or night, the Datsun redi-Go Urban Cross seems perfect for us Mumbaikars; especially with a winning combination of leg space, ground clearance, fuel efficiency and speed-sensitivity. The capability of a crossover with the convenience of a hatchback. The Datsun redi-Go is a forward-thinking styled car backed by Yukan Design (brave and bold) that would be difficult to miss. A wide robust exterior balanced with a spacious overall interior; a smooth and sleek silhouette characterised by a lean and dynamic car structure. The Datsun redi-Go offers the best of both the worlds to navigate in. The Datsun redi-Go is a mean machine that is powered by an all-new, fuel-efficient 0.8L (800cc), three-cylinder engine paired with a five-speed manual transmission; and a suspension capable of balancing handling and ride comfort. The mall turning radius ensures a full-turn around capability of 4.7 metre ensuring manoeuvrability in smaller places. Additionally, the speed-sensitive electric power steering allows for more control even at higher speeds. The Datsun redi-Go is pegged to be priced between Rs. 3.5 lakh and 4.5 lakh; with ex-showroom prices and variant prices to be announced later this month. Customers can pre-book the Datsun redi-GO with a down payment of INR 5,000 at 217 Nissan dealerships outlets across 165 cities in India. In a first of its kind initiative, the car-maker will open online bookings for the Datsun redi-GO through India’s leading commerce platform Snapdeal.com. 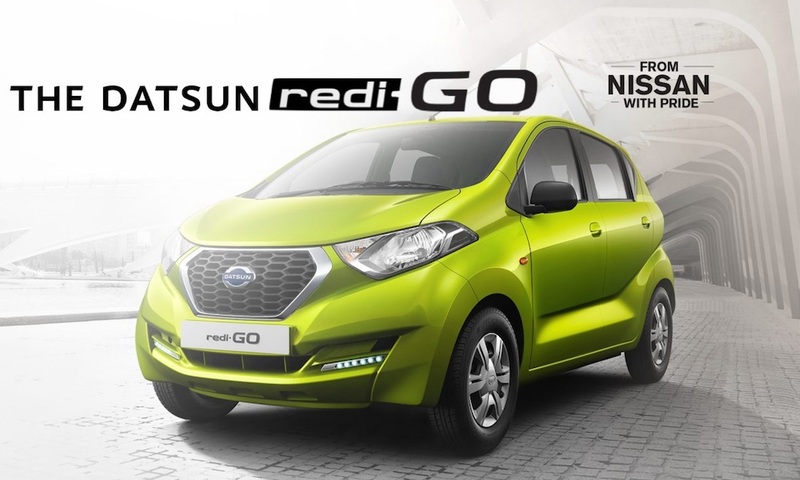 Nissan had outdone itself with the Datsun redi-GO. It will appeal to most buyer due to its amazing design, projected ride quality, competitive price tag, Japanese technology and the Nissan brand name. Compared to the competitors, the Datsun redi-GO will surely zip ahead and reach the finishing line victorious. Just as Mr. Guillaume Sicard, President – Nissan India Operations, has reflected on the company's growth strategy with a view of their commitment to local engineering, development and manufacturing. He emphasised that the Datsun redi-GO is a tangible expression of this commitment, that offers several best-in-class capabilities, is fun, free and confident take on an otherwise traditional segment. I'm looking forward to zipping around in this new wonder in the chaotic city of Mumbai! I'm looking forward to test-drive this beauty and hoping it delivers on all the promises. Are you?